Much of this blog so far seems to have seen me wistfully wandering country lanes in a fog of elderflowers and bluebells. But the truth of it is that I live in the city, where urbanity meets suburbia. It’s not very pretty and sometimes it’s a bit noisy and scary. But in just a ten minute walk, the culinary world is at my fingertips. From kaffir lime leaves to mango powder, salt-fish to kecap manis, I can buy pretty much any ingredient from around the world. And above all, I can eat curry. In the space of a mile I can eat Sri Lankan curry, Pakistani curry, Indian curry, Caribbean curry, Nepalese curry, Bangladeshi curry. It’s fair to say if I’m not cooking with cheese, I’m cooking a curry. But this is a blog about cheese. Cheese and curry? Now in the deepest, darkest recesses of the web there are some recipes for Cheddar cheese curry. Now whilst I would hate to do anyone’s recipes down and I know you shouldn’t knock anything until you try it, I must confess that the thought makes me queasy. I love Cheddar cheese. And I love curry. But Cheddar cheese curry? Not on my watch. So it’s fortunate we have paneer. Cheese at its simplest, paneer is made by adding an acid such as vinegar or lemon juice to hot milk to separate the curds from the whey (much like my feeble attempt at queso blanco). Whilst cheeses made with rennet melt, those made with acid don’t and so they’re ideal for cooking with. This recipe is adapted from the wonderful Noon Book of Authentic Indian Cookery, which sadly seems to be out of print these days. I’ll admit that it has a tendency to look a bit like pond slime but it tastes incredible as the sauce is made from handfuls of fresh coriander and mint, lightly spiced and with the crunch of cashew nuts and coconut. Named after an Indian mountain range where herbs and spices grow in abundance, it’s fresh-tasting and mild – ideal for a summer curry. 2 x 227g packs of paneer cheese, cut into cubes and lightly fried to brown (you don’t have to brown them but I find it improves the texture and flavour). Put the ginger, garlic, chillies, coriander, mint and 250ml of water in a blender and process to a smooth paste. Add the fried cashew nuts and 150ml and puree. Heat the oil in a pan, add the whole spices and let them crackle for ten seconds. Add the onions and fry until golden brown. 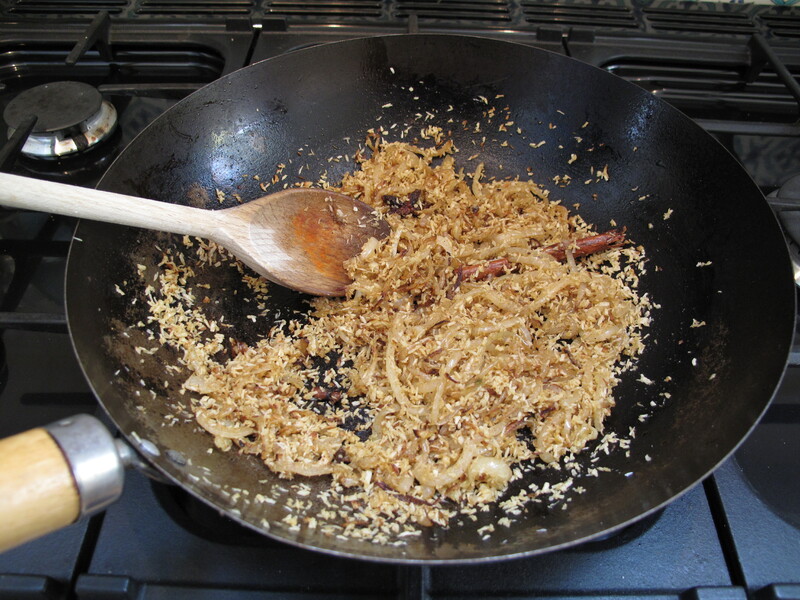 Add the ground spices, desiccated coconut and salt to taste and fry until the coconut starts to brown. 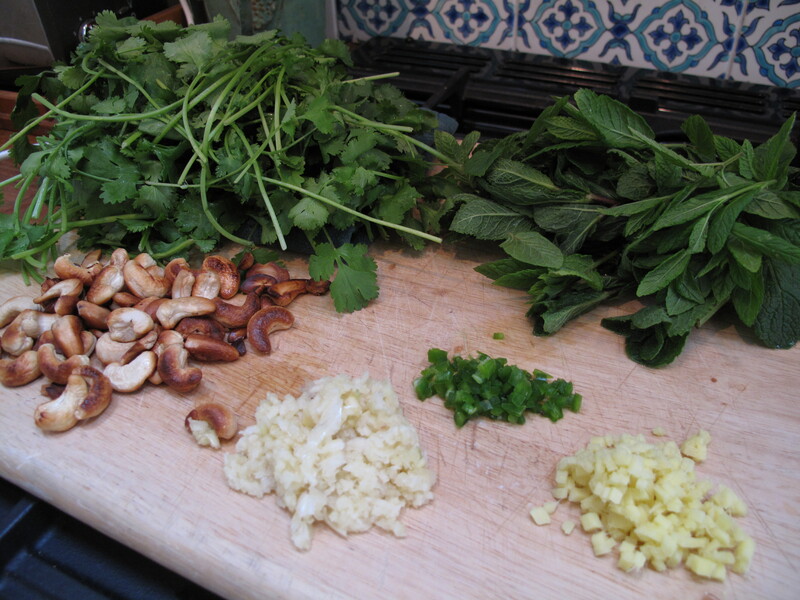 Reduce the heat, add the herb and nut paste and cook, stirring, for about ten minutes. Pour in the coconut milk and 1 litre of water. Bring to the boil and simmer for 20 minutes. 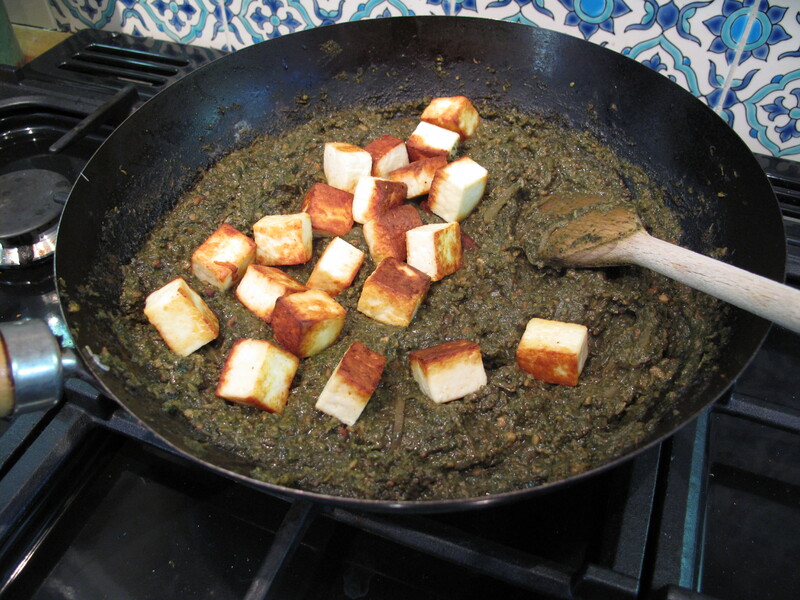 Add the cubes of paneer and cook for 5 minutes until they are warmed through. Serve with rice or breads. Oh – and if there’s a recipe in existence for Stilton Curry, keep it to yourself, yes? 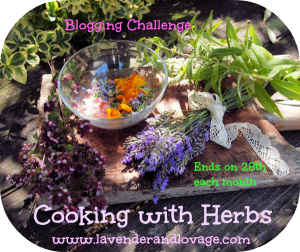 This recipe uses fresh coriander and mint so I am adding it to this month’s Herbs on Saturday Recipe Sharing Blog Challenge, hosted by Karen Burns-Booth at Lavender and Lovage. This looks really great!! Indian cuisine is also one of my specialties. I live in a destination resort area populated with visiting New Yorkers, etc. who love it, can’t find it – and in the past have paid me to cook it for them. (Almost fun; extremely profitable). I’ve tried a few times to make Paneer from scratch – each time an epic fail – (it must be the altitude 🙂 )…. so I buy blocks of it from the Indian supermarket 3.5 hrs away in Boulder …and keep it in my freezer. Sounds like you should be opening an Indian restaurant! I love cooking curries and have a cupboard bulging with spices. 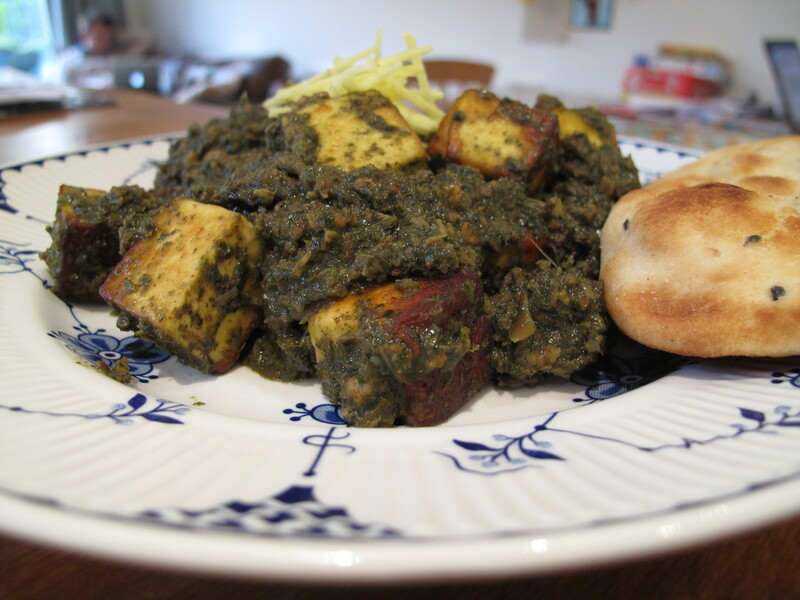 Have you got Madhur Jaffrey’s Bible? That’s a fab one. Thanks, Karen. Given the lavish amounts of coriander and mint in it (yum) it seemed to fit Herbs on Saturday perfectly! Oh, a whole blog about cheese? How come, I just found out today about it. Hm … whatever … I have to keep an eye on this. You can ‘sell’ me almost anything with cheese in it also this lovely paneer nilgiri korma. Always glad to meet another cheese fan. This is a really nice curry, fresh-tasting from all the herbs. If I made it again, I’d add some curry leave. Welcome, I’m glad you like it. There’s lots to like about cheese! Paneer is lovely. I had a dish the other night called Beggar’s Purse which was delicious – filo pastry filled with paneer and vegetables; I must seek out a recipe for it. Wow, that sounds amazing! I hope you find the recipe, as I’d love to try it myself! Yum – that sounds really good. Will have to give it a try this week. I love Tooting for the incredible variety of shops and restaurants – it is really quite wonderful! I know! It’s a great place to live if you like cooking!